Erowid : "Less Ecstasy, More Data: 15 Years of the EcstasyData Program"
Over the past 15 years, Erowid's lab analysis project, EcstasyData, has tested thousands of submitted samples. 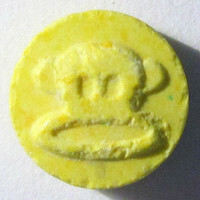 We have expanded from testing almost exclusively "ecstasy" (MDMA) tablets to doing both field reagent checking with test kits and highly technical GC/MS identification of street drugs, research chemicals, and pharmaceuticals. In 2015 and the first half of 2016, the majority of samples submitted to our program were not substances that had been sold as "ecstasy", "molly", or MDMA. The ongoing explosion of research chemicals--increasingly referred to as novel (or new) psychoactive substances (NPS)--and the prevalence of direct-to-consumer pharmaceutical sales make reliable analysis more important than ever. Even mainstream consumers are turning to lower-cost medications sold by online pharmacies. There is a huge global grey market for these tablets, powders, and blotter, which do not pass through the tightly regulated distribution systems designed to guarantee the purity and identity of drugs. Moreover, dozens of substances are now available online in the form of pure white powders that are strongly active below 10 mg. Confusing such substances for MDMA, cocaine, or other higher-dose drugs can result in extremely unpleasant effects, serious injury, or death. Despite the need, EcstasyData continues to be one of only a handful of public analytical drug testing programs in the world. Only three major public lab analysis services accept samples by mail: Energy Control in Spain, our EcstasyData program in California, and the Welsh WEDINOS program (which only tests samples sent from inside Wales). Excellent on-site testing programs such as SaferParty in Switzerland and CheckIt! in Austria do not accept submissions by mail, focusing instead on testing at events. A few countries have good walk-in analysis programs, the best being the Netherlands' Drug Information and Monitoring System (DIMS). Samples can be brought in to one of their physical locations, with results available by phone in about a week. If the sample is a pressed tablet and matches another recently tested sample, results are provided immediately without having to relinquish the tablet. DIMS reports it had almost 12,000 samples brought in to its 28 locations for analysis in 2015. EcstasyData releases results immediately and publicly. DIMS and other similar government-supported analytical programs do not publish their results contemporaneously. Instead, highly-abstracted summaries are published much later and never include the underlying data. Law enforcement agencies around the world test millions of samples per year, but almost all of that publicly-funded data is treated as secret and hidden from public view. It is our belief that analytical data published immediately provides necessary real-world information to individuals and society about how frequently one substance is misrepresented as another or how often drugs contain contaminants. Unfortunately, with no government funding or advertising dollars, much of the cost of analysis must be paid directly by those using the service. Depending on the sample type, EcstasyData submitters pay between $40 and $150 of the roughly $150 per-sample testing cost. Major ad companies such as Google have refused to serve ads on EcstasyData because it is "drug related" content. We continue to be disallowed by the DEA from publishing quantitative results for anonymously submitted samples tested through the program. Despite these limitations, EcstasyData analyzed 528 samples in 2015, more than any previous year, and will test a similar number in 2016. Over the past five years, the number of unique chemicals identified by our program has grown--from 32 distinct substances in 2010 (with an additional 6 unidentified samples) to 132 unique substances in 2015 (with an additional 15 unidentified). One of the project's challenges is identifying the newest substances appearing in samples. We buy a new analytical reference standard nearly every week. Staying on the cutting edge in this way will cost the project $5,000 this year. Our analytical standards are purchased from commercial labs such as Sigma-Aldrich and Cayman Chemical (currently the world's leading source of reference standards for NPS). Unfortunately, analytical standards are simply not yet available for many of the newest chemicals. There are several ways to identify a drug without an analytical standard. Sometimes we use libraries of mass spectra such as those provided by Cayman, the Scientific Working Group for the Analysis of Seized Drugs (SWDRUG), the National Institute of Standards and Technology (NIST), or private individuals. We also get assistance from members of the Erowid Expert Network around the world, including some from law enforcement labs outside the US. In May 2013, we began publishing photos of field reagent reactions for each sample. 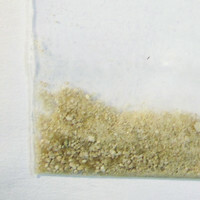 Previously, we simply described the color changes that occurred when a reagent was dropped onto a speck of the sample. Happily, the motivated technician at our lab is willing to do the time-consuming work of photographing reagent reactions for each sample, often taking multiple pictures to track color changes over time. We've switched from photographing the reactions on a standard white ceramic surface to a transparent glass surface on a light-box, which makes the color stand out more in photos. For dark colors, the technician spreads or swirls the reagent and takes a second photo to better capture the reaction. As of June 2016, EcstasyData is still the only lab analysis project that publishes field reagent reactions for each sample it tests. But, there are now some useful collections of videos and photos of field reagent reactions online. BunkPolice, a US commercial reagent vendor, teamed up with other groups, including Energy Control, to create videos of field reagent reactions for over 160 psychoactive chemicals. 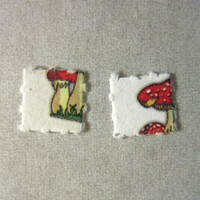 For the last two years, we have tested blotter for the presence of LSD. In 2014, our lab developed a procedure to make it practical and time-efficient to positively identify LSD using GC/MS. We also added the Mandelin reagent, which turns purple in the presence of LSD. Though we have always accepted and tested blotter for DOx phenethylamines and the dragonfly compounds, the lab could not efficiently differentiate LSD from other ergoloids prior to 2014. 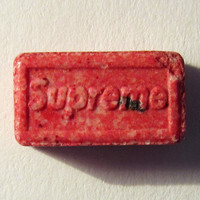 These were necessary improvements to the project's harm-reduction efforts because NBOMe compounds, which carry substantial health risks, are now sometimes sold on blotter as LSD or "acid". The EcstasyData project is the only anonymous mail-in lab analysis project in the United States and has been conducting testing since 2001. Its annual budget is $80,000 per year. Testing is done by Drug Detection Laboratories, a DEA-licensed lab. v1.01 - May 2017 - Erowid - Published on Erowid.org.